I want to talk about what no one else wants to talk about... Children with mental illness. Raising a child who is ‘different’ from the other kids takes a great mental and emotional toll on the parents. They are worn out and pushed to the brink, totally exhausted. Many are tapped out financially and in some cases, they have had to quit their jobs or take lesser ones to be there for the next episode when their child can’t cope. There is little or no support from a system caught up in process and willfully lacking in parental resources. As a parent of a challenging child, you can also brace yourself for the stigma of a lifetime. We look like the accomplice to this very badly behaved, poorly mannered and emotionally unstable child. If you don’t have a diagnosis it’s worse. If you don’t have money it’s worse still. So much of what we require to help our children isn’t covered by extended health insurance. The general parent community is unsupportive at best; hostile and judgmental at its worst. This compounds the pain and stress we live through every day. We go through things very few parents can relate to. This podcast is a collection of my interviews with kids affected by challenges, parents of those kids, and even medical professionals from the mental health community. In many cases, the name of the child has been changed or last names of the contributors omitted to maintain privacy for themselves and their children. 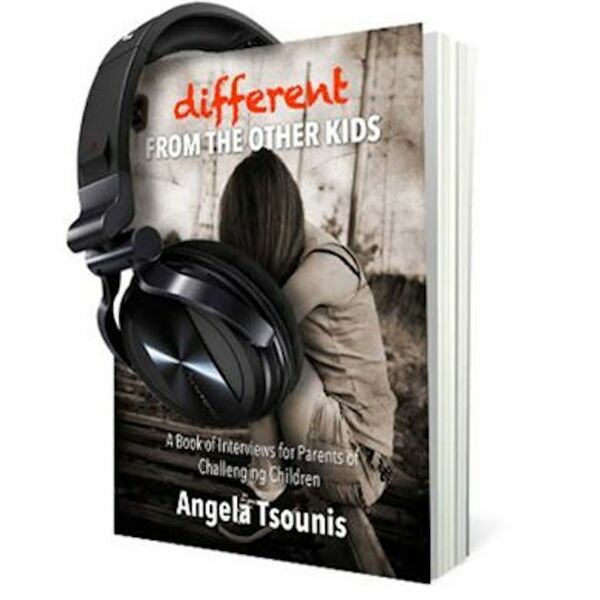 In this week of Different from the Other Kids, Angela Tsounis sits down once again with Jacquie Tyas, who is here to discuss ECT or electroconvulsive therapy. Here is a special announcement from Angie regarding our upcoming book launch on Wednesday, May 31, 2017! Find us on Facebook for all the details! Episode Thirty-Seven - "My People"
Episode Thirty-Four - Krazy - Is it a Nickname or Diagnosis? In this episode, Angela wraps up Season One with some thoughts and hopes for the future. Stay tuned for Season Two - we will be back on March 7th! Interested in the Different from the Other Kids series? Check out this quick sampling of guests from our original season.